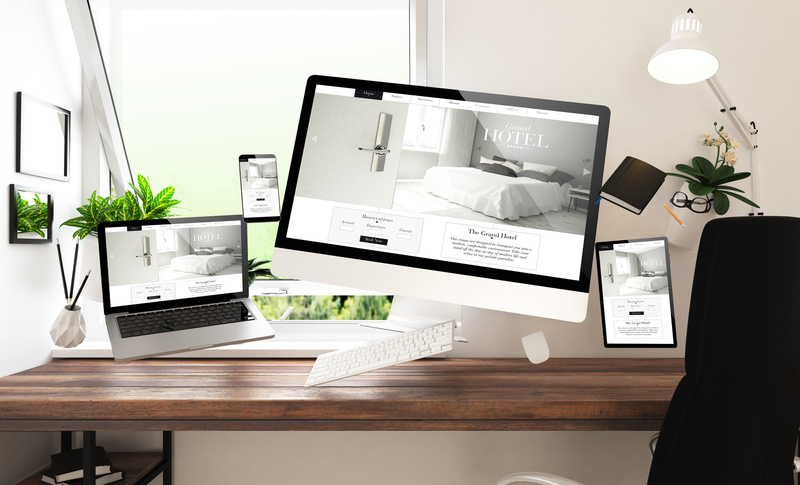 As we said in our last blog article , the hotel industry has to move into the digital age. To be proud of a wifi connection is nowadays - sorry to say - not an accomplishment. Your guests assume it to be an absolute standard. In times like this when people are bringing home new state-of-the-art technologies, for example the megatrends like Amazon's echo with the Alexa voice function: What does a hotel have to do? The WKO calls it "alleged paradoxes" when you speaks of bringing together individuality and community. We would say: It has been empathic thought through. Why is it called an "empathic hotel"? Because you need empathy to set up a hotel. How else do you expect to create a place where your guests feels comfortable and safe - where they can relax and unwind? Set new impulses for the modern technology. Chatbots come here in hand, they serve as a concierge. For example, they can take over the wake-up of your guests or inform them about the latest dishes in the restaurant. Or you can set up an online check-in system and hand over the key cards at the reception, which will allow your guests to come to their rooms at any time they want. The Hotel Association strongly recommends that you adapt to the moving social trends, and that requires understanding and empathy! There are still unprecedented opportunities, to create deep memories during their stay in your hotel. Empathic Hotel - How is traveling made today? Ten to fifteen years ago, it looked something like this: Guests arrive at the hotel, at the check-in time, they bring the suitcases to their room, and ask the concierge for a city walk tour or sightseeing tips. Today, travel is a bit different. Without understanding it, you will not not be able to offer your guests an empathic hotel. Did you know that most tourists and visitors rely on AirBnB, because they are much more flexible and individual? Check-in is discussed on Whatsapp, there is wifi and the location is ideal for traveler. The hotel industry has had immense competition so far. Travel today involves more obstacles. Is the flight or the train delayed? Can you find your way around the city right away? Do you want to eat something in this nice restaurant before you check in to the hotel? Travel is a bit carefree. You let your mind wander. You do not want to make plans or stick to deadlines - you already have that in your professional life. How can you handle this? Turn your hotel into a future institute for your travel audience and watch out for the latest trends and modern travel behavior. The WKO and the Hotel Association have predicted that the empathic hotel industry will have to adapt to digitization. Keep in mind that digitalisation does not mean a complete revamping of your hotel. It only requires some empathy for the needs and wishes of your guests and the desire to change. Feel free to contact us, we will help you turn your hotel into an empathic hotel - in the light of current social trends - and to accompany you into the future.